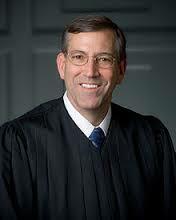 Nebraska federal Judge John Gerrard picked as a “rising star judge” for law clerks « Hercules and the umpire. John is very big on sustainability. All the best. Anyone applying a “happy face” to a job application that requires ritual animal slaughter is not fit for the position. Sorry.